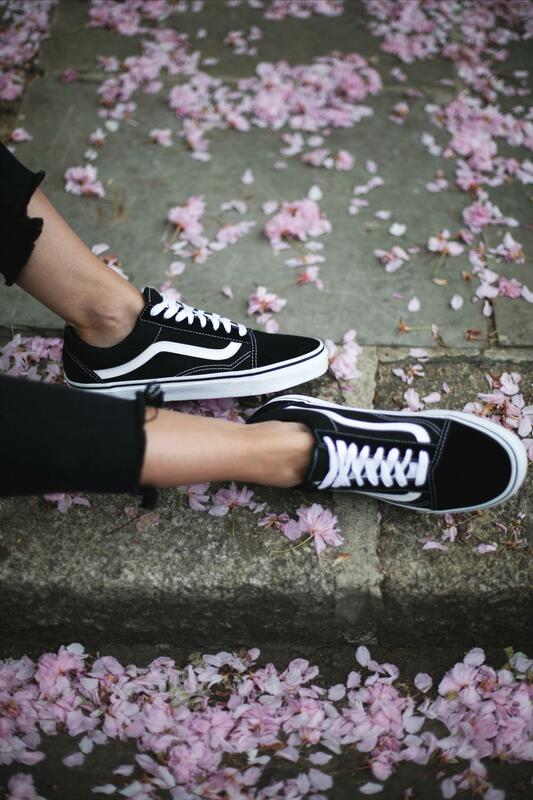 I asked you guys on social media what sneaks you wanted to see in the 'Sneaker Diaries' series and by far the most highly requested was the cool girl sneaker of choice, the Vans 'Old Skool'. Admittedly this is my first ever pair of Old Skools and I have to say that now I 'get it'. I was all over the Converse Allstars, year after year I'd buy the same ones in black and white, but now that Vans has come into my life will this love affair be over? I wore a pair of Converse for 6 weeks solid on our US road trip so there will always be a special, rather sentimental place for Allstars in my heart. But when it comes to comfort, these Vans are winning hands (or should I say feet) down. There's also something that looks a tad smarter about the Old Skool vs. the Converse, I can't quite put my finger on it but it may be down the the fact that mine are fresh out of the box. You all know the drill, as with every Sneaker Diaries post/outfit I always remained true to my styling rule of thumb; add in a piece of tailoring. I think to be fair this tends to be my guideline for most outfits but definitely so when styling up something so casual as a pair of sneakers. This check Zara blazer, which is now doing the rounds on Instagram (I call this the curse of Zara) is standing in as this week's tailored piece. I've layered it over a basic (but high quality cotton) black t-shirt and adorned my neckline with some of my fave gold necklaces. A pair of black skinny jeans and Gucci bag finish off the look, which I think is one of my favourites so far from the Sneaker Diaries series.